Emails to PDF With Page Counter with the help of Coolutils! 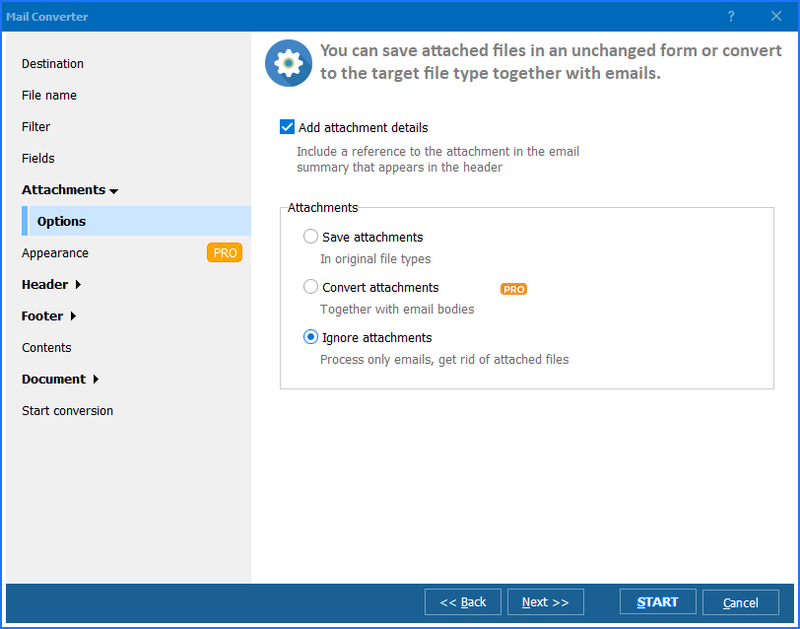 Total Mail Converter is a kind of utility, which saves emails in different extensions, including, but not limited to, PDF. 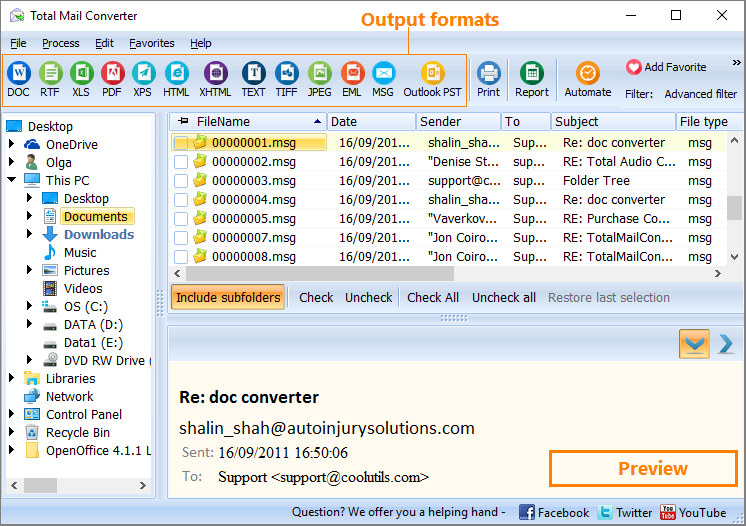 With this converter at hand, you can process your emails outside email clients, such as Thunderbird, Outlook, etc. This program allows you to edit your output documents. Basically, you can tune our output PDF files to your taste, adding page counters or dates, selecting their positions, margins, fonts. All these options are incorporated in the wizard. 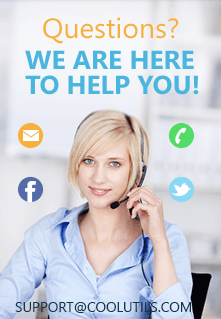 Total Mail Converter has an easy-to-follow interface, so that both experienced and novice users can operate it without a hitch. Launch Total Mail Converter. If you have selected the required folder in the folder tree, you can see a list of emails in the middle panel. Check one or several files or check all of them by pressing the Check all button. 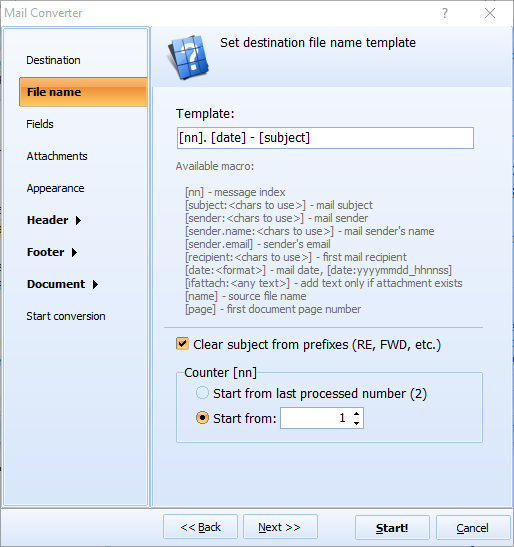 Choose destination path for your PDF-replicas of your emails. Jump to the page Header/Footer inlay. Here you can use a variety of options: add page counters in the top/bottom right, top/bottom center and top/bottom left positions; set margins, fonts and page numeration mode. You can use two page numeration modes: add a number to each page or, for example, add a number to one page out of every ten pages. Sequential numbering allows you to number pages by folders. Unchecking the sequential numbering option will result in page counting starting over with each folder. In the Document tab, you can adjust paper size, margins, properties, compression, encryption, and sign your documents. Select Start Conversion and read the summary of the settings, which you have chosen. Press Start to convert your emails to PDF. This converter is really great for the price it goes for. To check that, use the free 30-day version and test the program's functionality! Windows XP/2003/Vista/7/8/10, both GUI and command line.